Along with spring flowering bulbs, fall is the time to plant garlic for next summer’s harvest. If you didn’t check the blog last week, today is the last day to enter the Garlic Giveaway from Peaceful Valley Farm & Garden Supply (aka GrowOrganic.com) there’s still time to enter if you haven’t already, head on over to this post. What kind of garlic should I plant? Where should I get my seed garlic? I would recommend not using garlic purchased at the grocery store, as some or all of it may be treated to inhibit sprouting. Most likely, it will not the right variety for your climate/region. It’s also grown for it’s storage/shipping traits rather than for flavor. When possible, source your seed garlic from your area/region. The local farmers market is often the best place to find varieties that do well in your area. If you cannot find local seed garlic, locate a seller that is in your same longitude. That being said, don’t be afraid to try new and interesting cultivars to find one that works best with your climate and one that suites your personal taste. Once you grow garlic in your garden, you can save seed garlic from your harvest as long as you haven’t had issues with disease. These will generally be best suited to your climate/garden as they acclimate to your specific conditions over a few years. Choose the best bulbs from your harvest for replanting. When do I plant garlic? As a general rule, you want to plant garlic three to five weeks before the ground freezes. In general, October is a good month in most US zones to plant garlic, unless you live in an area that expects a lot of heat during this month. Don’t plant your garlic too soon or it will sprout too much and the leaves may be damaged during the winter. If you plant too late, it won’t have enough time to develop sufficient roots to get it through the winter. How far apart should I space my garlic? There really is no hard and fast rule, numerous studies have shown that garlic planted closer together actually increases yield but it decreases clove size. I generally follow the guidelines from The Complete Book of Garlic and plant bulbs 4-5 inches apart in the rows with 10 inches between rows. My harvests have always been very good using this spacing method. However, if your soil is very lean and dry, you might want to space a little farther apart. How do I plant garlic? After trials in my garden, I recommend using the kelp bath before for planting garlic. Break apart the heads carefully keeping the paper sheath around each close intact. Plant only plump healthy looking bulbs (eat the ones that don’t look great). Soak cloves overnight in a mix of: 1 gallon of water + 1 heaping Tablespoon of baking soda + 1 Tablespoon of fish emulsion or liquid kelp. Results have shown this increases yield and decreases risk of disease & pests. Prepare soil fairly deeply, garlic will sends roots down 18-24 inches. Lay out a grid and make dibble holes at the spacing you plan on using. Planting depth is determined by winter temperatures. Severe winter areas should be planted roughly 4 inches deep and mulched well. In warmer regions planting is generally 2 inches deep with mulch on top of that. Don’t worry too much about getting this exact, garlic is very forgiving. Try varying the depth a little and keep track of which depth produces best in your garden. The fertilization needs of garlic will depends on your soil and climate. In general, you should add compost and aged manure to your garlic bed in the fall when you prepare the soil for planting. 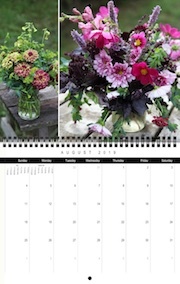 In the spring, when the ground is still cold (generally late March/April) watering with fish or kelp emulsion every 2 weeks for a month or so will give bulbs a boost. Fertilizing too much might result in lots of leaves and smaller bulbs or bulbs that don’t store as long or large bulbs that don’t keep well. Do not fertilize close to harvest. Should I mulch my garlic? Yes, I would definitely recommend adding a good layer of mulch to your garlic bed in the early winter. You probably will want to leave the mulch off of the bed until the ground is cold, adding mulch too early may prevent the freezing of the soil which will make your bulbs grow leaves prematurely. Also, do not remove the mulch too early in spring as a late spring freeze may then be detrimental to the bulbs. I find chopped fall leaves to be the perfect mulch for garlic. Do you have any questions about planting garlic? 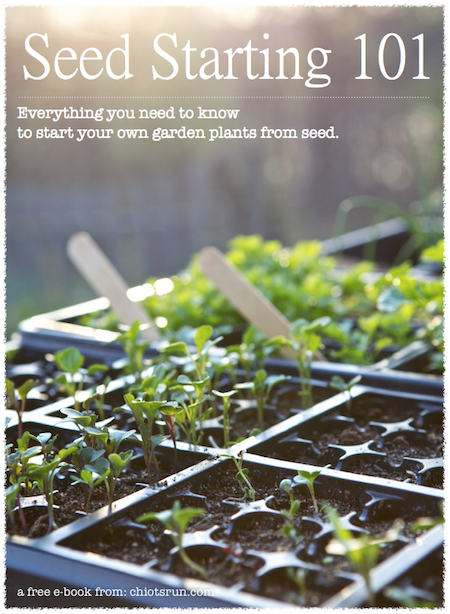 Any great tips and tricks you’ve developed in your garden? Want to know all more? Both of these books are phenomenal reads if you want to know all there is to know about garlic. This is my first time planting garlic in the Caribbean. I chose some cloves from the ‘supermarket collection’ and will be planting along my tomato and basil bed. I have no idea what kind they are just hoping that they were grown in a tropical environment. The garlic I grew while in Conway, South Caroline did well and I was totally pleased with the harvest. When I was growing up my dad grew some garlic for home use, of course all I remember is him spreading them out on a wire rack inside the turkey coop to dry. I will be happy just to have some garlic green to use in my soups and salads. But getting a few heads of garlic will be shredded coconut on the ice cream………as in icening on the cake. Our garlic went in the ground this week after work. We are trying several new varieties this year along with a unknown variety that was given to my parents when they moved to VT. A couple of the new varieties are soft neck, we are interested in braiding some as well as assessing how they will store. Typically our garlic lasts well into May before it starts to sprout and get spongy, and even then it still is fine for cooking. Susy, I’m definitely going to give growing garlic a try next fall. This year has just too many things happening this month. Soon the great garden mulch capper will begin. That’s when in the darkness of the night before yard waste pickup and all the bags of leaf/grass mixture are set by the street with care in hopes that the truck will be there, I don my stealth mulch snitching outfit and cruise the neighborhood to confiscate as many bags of mulch as I can. I want to top my record of 600 bags from last year. The response for you garlic give away has been outstanding. Who would have thought the low key garlic would draw such attention. Good luck to all those that have entered the contest. ***** Have a great garlic planting day. I got mine planted yesterday. I covered the bed with a summer’s accumulation of bunny berries and then a nice covering of straw. I will not remove the straw in the spring as the shoots make their way through it and there are no weeds. I have been reusing my own garlic for seed for about 10 years. I always plant in the same spot with a good manure dressing. Each year the harvest gets better. I was remiss yesterday in not congratulating Mr. Chiots on his turkey hunt. Congratulations on a very nice bird. Someone recommended brining the bird. This is important and can be accomplished in a 5 gallon bucket. The feet make wonderful dog treats. I think I used the term “seed” too loosely. I use cloves from my own garlic to plant. I planted Music garlic last year in November in our Abominable Growman (aka our industrial sized hoop house.). We have a high water table throughout winter and are often treading water when other climes are freezing, so I wanted to see if I could plant cloves 2 inches deep with no mulch. It worked! Planted in 3 inches of moo doo and by June, we had some beautiful bulbs to harvest. One thing though that caught me off guard…since it gets so much hotter in the hoop house than outdoors, next summer I really need to follow that three green leaves rule. I harvested by calendar instead, and sadly with only one green leave left, there wasn’t much skin left on the cloves. Here in WA state, we have Irish Eyes Garden Seed and Uprising Seed suppliers that grow there own and sell many garlic varieties. We’ve been very happy with their products and customer service. Good luck on your harvest everyone! We just planted’s ours this weekend too. I got some huge beautiful garlic heads my local farmer along with some our crop. We love garlic!